Recently, Samsung has just launched the M series for the low end segment. This is the newest product line of the Galaxy family. Recently, Samsung was also reported to be offering cheaper prices for its middle class products. 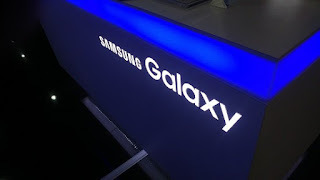 The initiative was taken by Samsung to resist the onslaught of Chinese brands in the lower and middle class segments that began to disturb it. As quoted from Phonearena, Samsung is preparing to keep production costs low and cut the price of the upcoming A series with the use of LCD screens. The announced Infinity-O screen from Galaxy A8s has not been announced long ago is the first product of the A-series mobile phone that will use an LCD panel. The technology requires a backlighting layer and does not allow for a more concise camera opening like the OLED screen does. Such Infinity-O hole-in-display technology is clearly still achievable with LCDs, though, using such panels can enable Samsung to lower the price of mobile phones compared to completing it with an OLED screen. In addition there will be several other products that also use LCD panels. Samsung is also expected to order millions of LCD panels from Chinese manufacturers such as BOE. Besides Samsung, Apple is also expected to launch the successor to the iPhone XR with an LCD screen again. 0 Response to "Samsung Ready to Price War with Chinese Smartphones"